In January 2017 Jana and I were part of the Global Game Jam, as usual. We had some doubts we'd do it again in Leipzig, because every year it gets a bit harder to wake up in the HTWK (the university where the jam site is located) without a shower or hot water at all. Yes, we're getting older. Our plans went back and forth between not going at all, or driving back home for the nights, or getting an AirBnB. In the end we did it as always. Thankfully! Commodations aside, it was a very nice experience. A few days before we made some key decision for our jam entry, especially the choice of target platform: VR. As we don't own a full-blown HTC Vive or so, we made a Google Cardboard game for Android. I think it turned out quite well, because it was doable in the scope we aimed for, even though it was our first VR game. The theme itself ("Waves") wasn't very interesting, but it slowly formed the direction of our game. When we began to think in terms of sound waves, we soon decided that some radio in our game would tell the player what to do. So you'd be in some kind of labyrinth, trying to find that radio by searching around and listening to its noise, and then activate it, because it tells you how to reach the exit. This became less important later, but it's still in the game. So while we don't feature "waves" promintently, the game was definitely inspired by it. What we have now is an atmospheric stealth game where you play some thief or treasure hunter in a haunted mansion. You walk around, steal things (mostly valuables), evade scary ghosts, use keys, and find the radio and the exit. 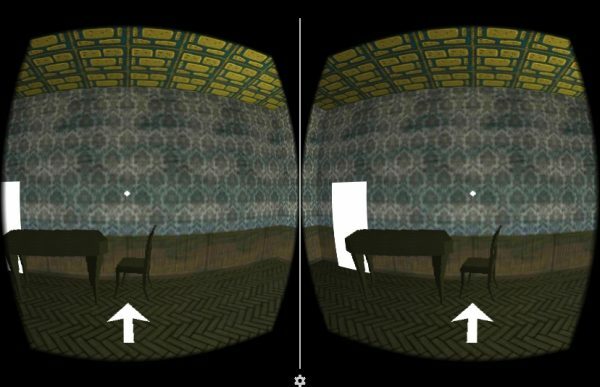 As the game is a Virtual Reality game, the player's movement is restricted to gliding between square floor tiles in cardinal directions. This is very similar to my Ludum Dare entry Wood for the Trees from last year, but this time the limitation was imposed to us because of the nature of VR games. 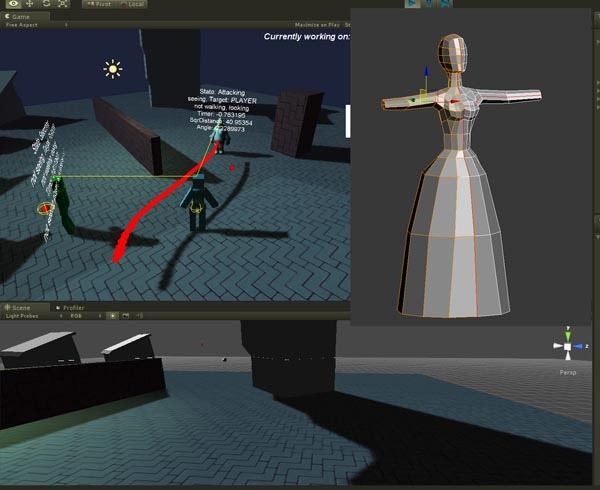 Free movement was out of question, and a typical "magically beam to place" approach could have been a bit too complex for our first 48 hours VR game. 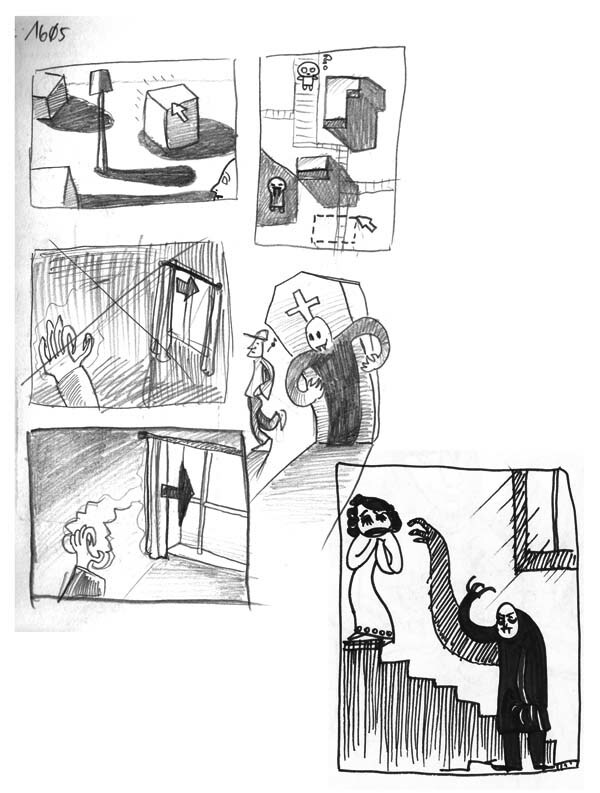 In the end, the limited movement also helped to define the simple but effective behaviour of the evil ghosts, which don't follow you but patrol between the rooms in the same manner as the player. As usually our games have a somewhat high entry barrier, one of our goals was to simplify controls. With a VR game this seemed easy to do - you don't have much different input methods anyway. 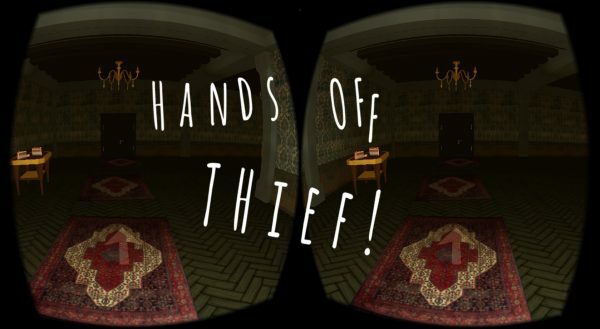 All you can do in our jam entry is looking around and take stuff by looking at it for a short time, which is why Jana had the idea to name it Hands Off Thief, as you steal without using your hands... Initially I planned to have the same approach for walking around the rooms - an arrow on the floor tells you if you're allowed to walk into that direction you're looking, and if so, looking at the arrow for a short time moves you to the next room. But it turned out that this is a bit awkward, as you'd always have to look down to walk around. Now players have to activate the trigger (i.e. touch the screen of their phone) when the arrow is shown, which feels a bit more natural. I prepared by reading articles about VR development for mobile platforms. It was helpful to know that there are some heavy restrictions regarding drawcalls and polycount in order to maintain 60 frames per seconds on a phone. This way I wouldn't be surprised by bad performance at the end of the jam. Thus, from the beginning the Unity project was set up to use cheap vertex lighting, and I programmed a simple occlusion culling i.e. only the room you're in and adjacent rooms get rendered. We also tried to minimize the amount of different materials for everything. The first thing we did when we started the development was trying to find out how big the virtual rooms should be. Several hours went into discussions if the walls are too near or too far away, if the ceiling is too low, or if the texture scale on the floor is okay. Probably not everything makes sense in the final game; some things were kept for the atmosphere. Especially the lighting was a bit of a headache, until we went with strong darkness and the player having a point light at their center. Every ghost has two lights - on for his current position, and one for the target position. 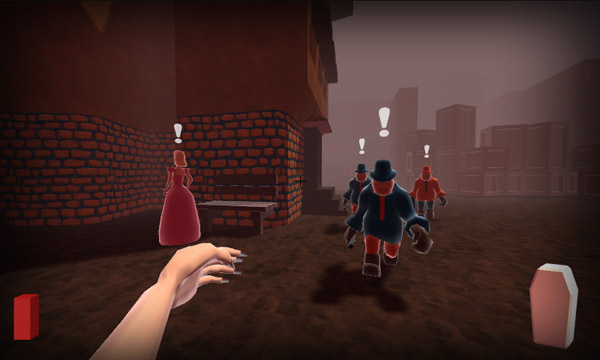 This way, a player can predict if the ghost soon will be floating towards them. And from time to time a lightning strikes (even when there's no window), so there should be enough to see anyway. Of course we had some help! When he wasn't sleeping Björn Grunewald created some 3D models like the loot, and my brother Ludwig 'KingLudi' Hanisch - as usual - agreed to compose the music. Ludwig was in another city, and when I sent him some screenshots it was very late, so I wasn't sure if he was still willing to do it. But he sent a nice track in time. Afterwards he wasn't content with it, as it didn't quite play along with the visuals. The problem was that Jana and I were late in defining the atmosphere and couldn't send him a meaningful video, so he only had the screenshots with bad lighting as reference. A few days later Ludwig sent us a new, much more eerie track which fit perfectly, and I updated the game. You can play this new and better version by downloading the APK on itch.io. Overall the Global Game Jam was cool; you might also want to have a look at the other games created at our site in Leipzig. By the way, one aspect I learned to dislike about the GGJ website is that you cannot edit your entry afterwards. I understand that they wouldn't want people to fake their entries, but it would be nice to be able to offer patches, or just add stuff you forgot. We also might choose to register a jam site in our own city next year, because we found some potential co-jammers! Don't worry. It's still TRI we're working on! But together with four other developers we did a jam in April to make games AND raise some money for our main projects. 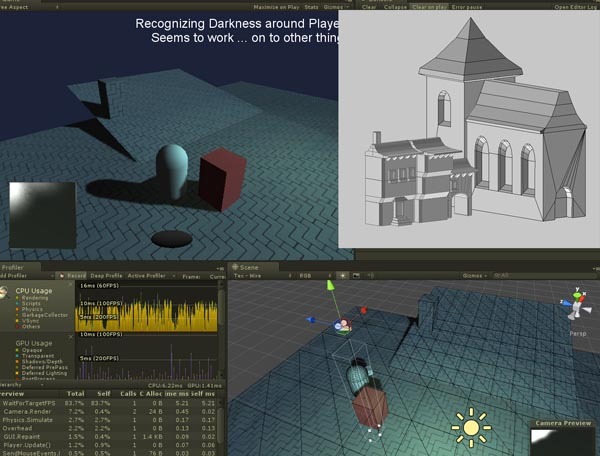 It seems that all of our games are initially made for game jams. And so it happened with The Sun Is Deadly, too. The first version of our vampire stealth game was done in 48 hours, during the Indie Buskers Jam. We did games after themes given by the audience. Our choice out of 1400 ideas was: "It might be cool to have a game where you control objects to block sunlight to create a path of darkness - so that a vampire can get to their intended victim." One of our all-time most loved game is Thief: The Dark Project, where you play a thief trying to stay in the shadows to pass guards and empty houses from their sparkling materialistic burden. Since the moment we first played this game we planned to integrate the element of hiding in the shadows in one of our own games, too. And then this idea appeared and we couldn't resist! How super-optimistic and stupid we were! Too big ideas of whole sandbox cities, guards with changeable heads, male and female citizens appeared right before our eyes. In the end we got a game where you had to find the one and only holy virgin to trick her to the cemetery with a jewel case. You need to walk in the shadows, because it is bright daytime and, you know, “The Sun Is Deadly”. On your way there are more victims to satisfy your hunger with. But they will also alarm the guards who protect the city of women. The jam started and we were very self-confident, because we are two experienced designers, especially in game jams. Anyway, our planning what exactly should happen in the game was a bit quirky, to stay flexible with our features. The biggest concern about playing some shadowy creature was the shadow itself. Would we be able to rebuild the genius Thief component in 48 hours? We tried to downscale the game as much as possible to get time to surely implement the most important features. Right after the stealth stuff there was the other critical feature: physics. Everybody loves physics and the game idea wouldn't be fully translated if there was no crate to lift up. 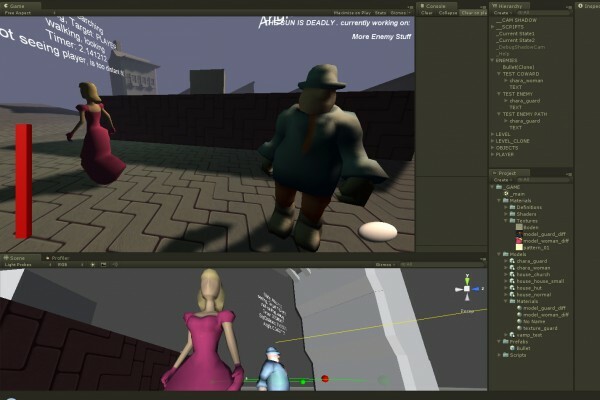 The first step was to create a starting character controller and to recognize if there is shadow underneath the player or not. To detect the darkness Friedrich used a second camera, rendering to a 32x32 pixel texture, to find out if the sun should burn your flesh or the shadow will hide you. Meanwhile, Jana modeled the town buildings. To give the game a certain atmosphere she chose bare stone, clay and wood to give the impression of a rough, dark, old century. Sometimes she googled "old London street" to get inspired. Maybe because of the Jack-the-Ripper killing women by night in this setting, too. Macabre, huh? The next day Friedrich implemented the enemies. It was decided that they should see you while you're not in shadow at a short distance. And when you touch them while walking in the shadow, too. Moreover you are hidden behind them and rearward of obstacles like crates. The character A.I. is very simple: The guards follow you. The virgins run in the other direction. All of them shout for help, which means they alarm nearby guards. In the meantime Jana prepared the female character - which ended up in a cliched Disney girly that she always wanted to be make. The guard also was inspired by Disney, this time by the police in the Mickey Mouse comics. Maybe the characters are too comedic, but through the forced minimalism the whole game is exactly this - a nice cliche with a slightly comedic approach to the whole dark genre. We always think that first-person is the best perspective to play a game like this, so our vampire-player got a nice bloodless thin white arm. To make a good use of it we build our levels in the last step. All towns have in common that they have a simple ground plane encircled by high walls we both modeled in 3ds Max. 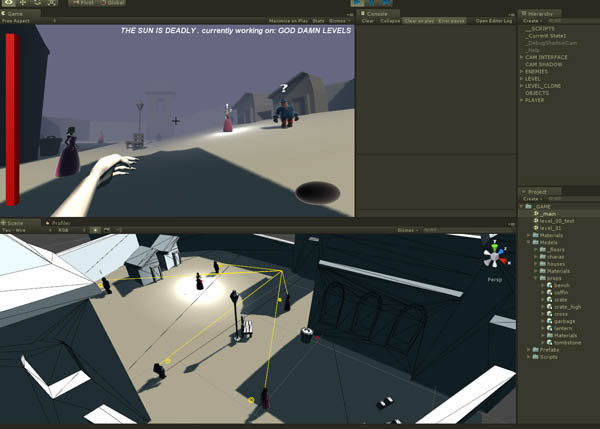 In Unity we added the houses, crates, decoration and the characters with their optional walking path. The shadow thing – we did a Plan B if it won’t work at all – performed very well from the beginning. The tricky thing about Thief though weren’t the shadows (who could have guessed!? 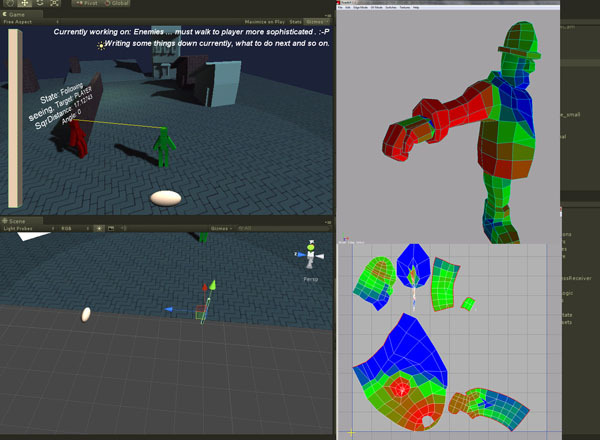 ), but the enemies in combination with physics. BUT! We did it! This jam was an emotional roller coaster. Although this is the first jam rule we tell everyone about, we planned too much for the game. The idea was extremely complicated from the beginning. The sad thing with 3D, physics AND shadow is: They are very rare and we now know why. But in the end we fixed most shortcomings - bugs like boxes falling through the ground and virgins not following the shiny present, or the tutorial which explains what the ultimate goal of each level is. Now that the game is finished, playable and available for those who missed the Buskers Jam, we hope to give you a good impression what The Sun Is Deadly is about. Hopefully you enjoy the game as much as we did making it. We are always open for your experience you had with the game. Tell us!